Designed by Frank Lloyd Wright and dedicated in 1909, Unity Temple is considered by many architects as the first modern building in the world and chosen as number 6 of the 100 most significant buildings in the U.S. by the Architectural Record. In 2014, Rygan was selected as the geo wellfield system which provided the heating and cooling capacity, as well as humidity control, of this national historic landmark. The geo-thermal system was part of an overall $23M makeover to the building which was completed in 2015. Mark Nussbaum, P.E. 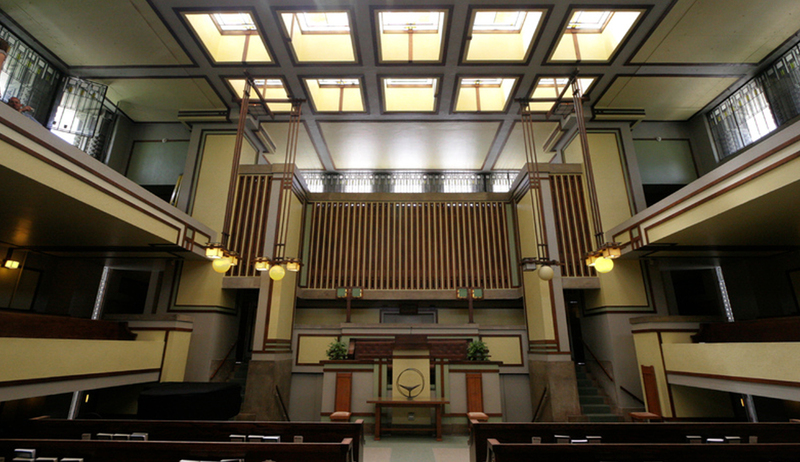 of Architectural Consulting Engineers from Oak Park, IL designed the Unity Temple geo system which represents the fifth national historic landmark venue supported by Rygan’s HPGX system. 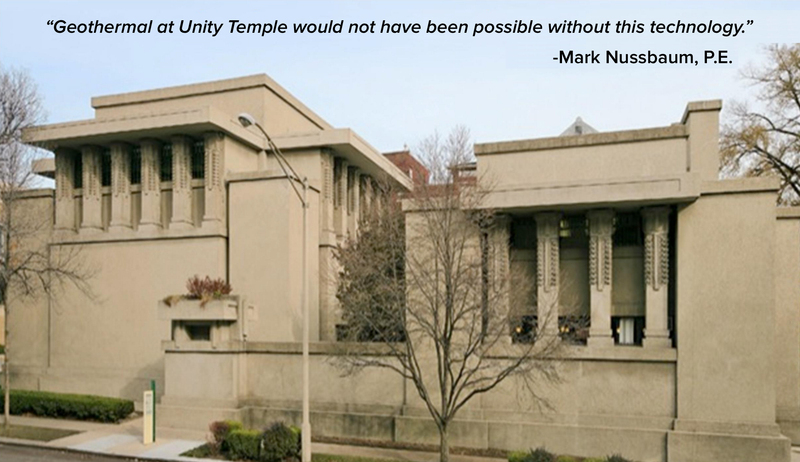 Unity Temple is one of nearly 100 system installations in the greater Chicago area. Brady Kerry of Great Lakes Geothermal prepares one of the coaxial fusion heads for attachment to the 500ft deep compsoite heat exchanger. Nine of these Rygan ground heat exchangers provide roughly 60 tons of heating and cooling needed by the building.